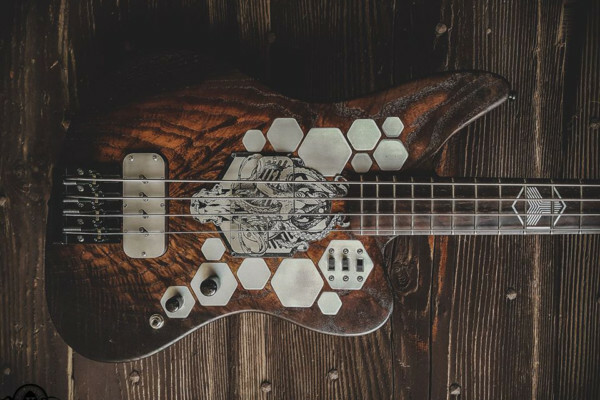 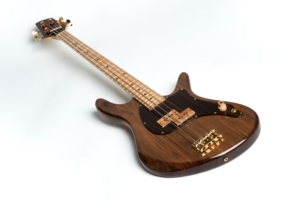 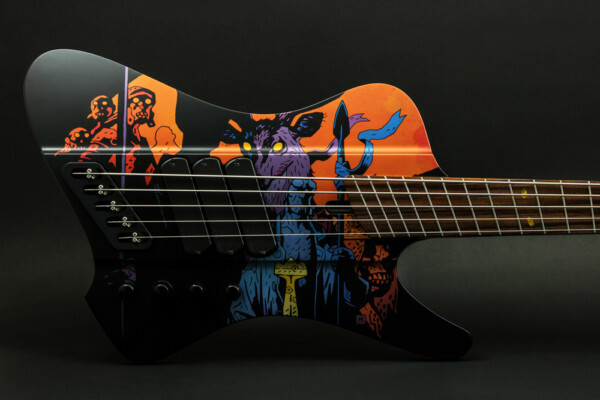 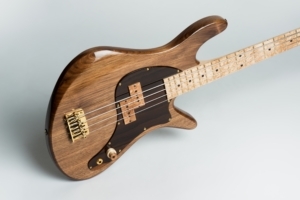 We featured two basses by Frederiek de Vette last year, and now she’s shared her third ever build with us. 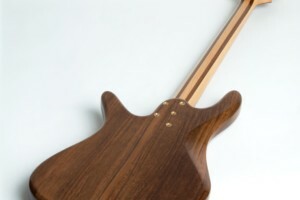 This time she took a bit more straight ahead approach, although it’s no less beautiful. 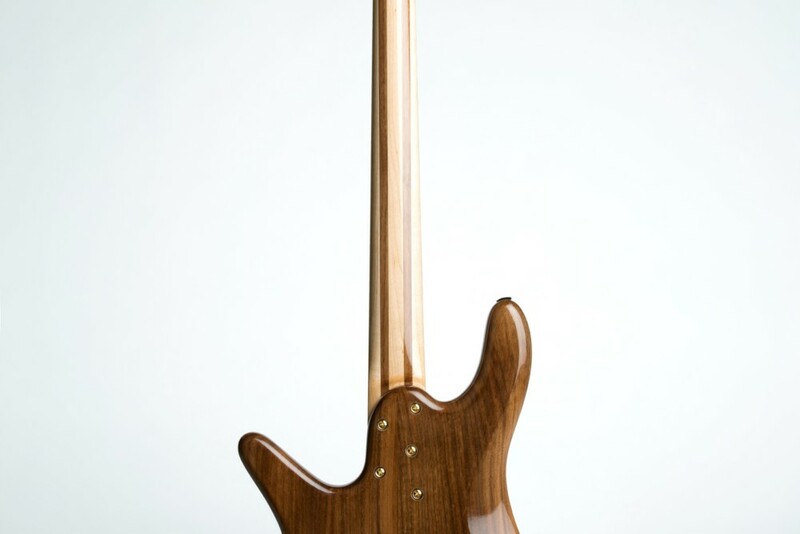 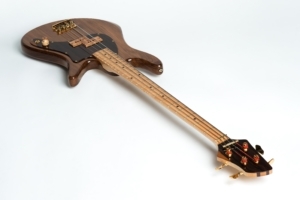 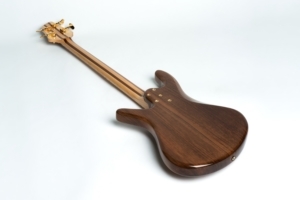 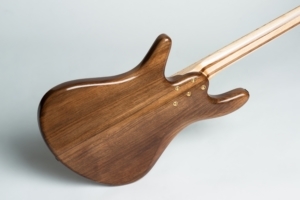 To create the instrument, de Vette utilized an eye-catching American walnut body with a bolt-on hard maple and walnut neck topped with a birdseye maple fingerboard. 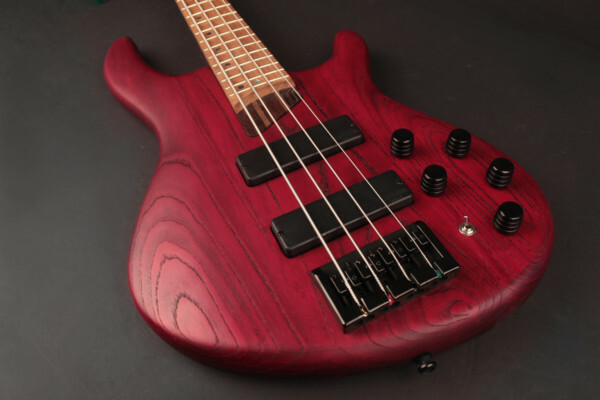 The pickup she mentioned is a Seymour Duncan Antiquity II that is under a maple burl cover that matches the stacked knob. 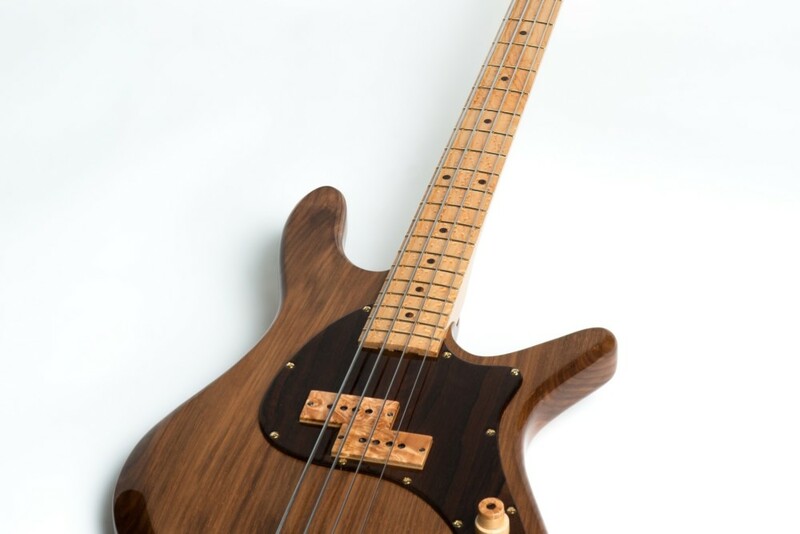 Other features include ziricote pickguard, Gotoh hardware, and Dunlop flush mount straplocks.